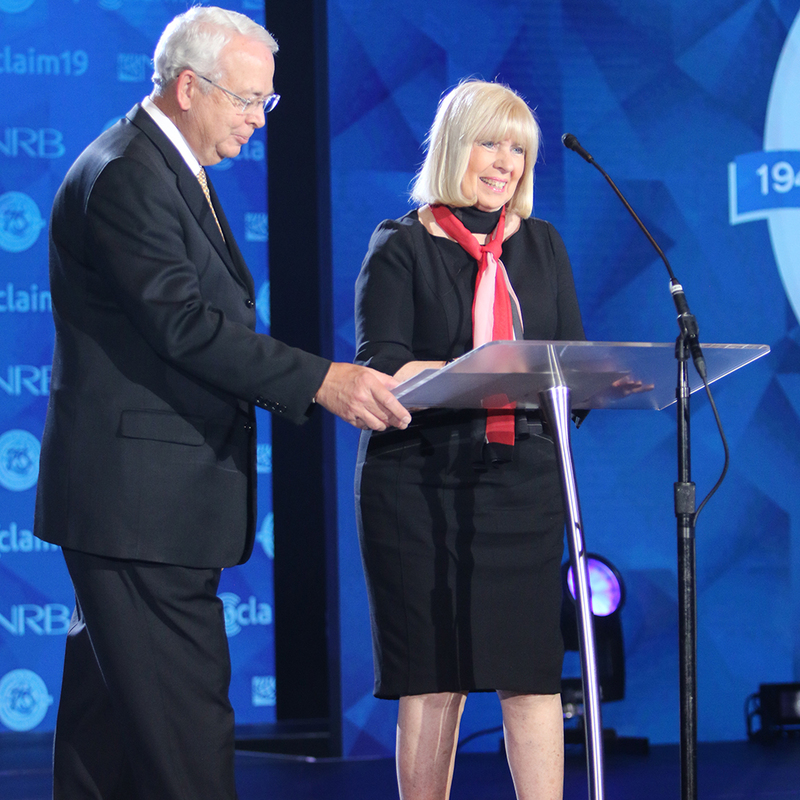 ANAHEIM, Calif. (NRB) – Dr. John F. Ankerberg of The John Ankerberg Show received the 2019 NRB Board of Directors Award on Thursday, March 28, during the Worship Service at Proclaim 19, the NRB International Christian Media Convention in Anaheim, California. His wife, Darlene, accepted the award on his behalf due to a health condition that prevented him from traveling. The Board of Directors Award honors a Christian who demonstrates integrity, displays creativity, and makes a significant impact on society. In recognition that broadcasting is not the only way to witness to the power of the Gospel, the award winner may or may not be in the field of electronic communications. John Ankerberg in his writings and on his television program, The John Ankerberg Show, for the past 36 years has presented contemporary spiritual issues and defended biblical Christian answers. He believes that Christianity can not only stand its ground in the arena of the world’s ideas, but that Christianity alone is fully true. He has spoken to audiences on more than 78 American college and university campuses as well as in crusades in major cities of Africa, Asia, South America, and the Islands of the Caribbean. He is a member of the Board of Directors of the National Religious Broadcasters. He and his wife, Darlene, have one daughter, Michelle. The Board of Directors Award was one of 20 awards that were presented during Proclaim 19, which took place March 26-March 29, at the Anaheim Convention Center in Anaheim. For the complete list of 2019 award recipients, click here.